First up is Stu Brothers; Notts County fan, former editor of The Notts Blog and now keeping the Zine Scene firmly alive in the digital age with Black & White Fanzine. A great follow on twitter @blackwhitezine Stu is going to tell us about Jamal Campbell-Ryce. This piece was written shortly after the move to Bramall Lane was announced and feelings were still somewhat raw. Jamal Campbell-Ryce has made me quite angry. It's not so much the leaving Notts County, it's the manner in which he has done so. Footballers are little more than mercenaries at the end of the day and by now we should all be at ease with that. At the end of the day these people's careers have a short shelf life so of course they're going to chase the pound signs. 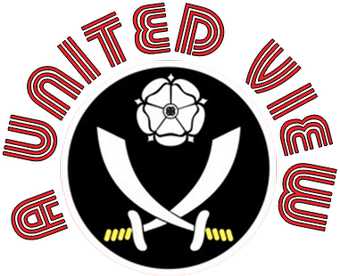 But did we as a club – or Shaun Derry as a human being – deserve better from a player so shambolic until the final months of his deal at Meadow Lane? That word shambolic, as any reading Notts fan would attest to, is putting it lightly. To put a number to how many games passed Jamal by would be to court insanity. Countless blind alleys ran down, strikers inundated with over-hit crosses, or defenders left to deal with limp deliveries that couldn't even get beyond the first man – this was the Notts County career of Jamal Campbell-Ryce for so long. A performance under Chris Kiwomya at Tranmere Rovers will take some beating if anyone is to put in a worse shift in our club's colours. I swear I saw him fly through the air, as if he tripped over his own laces, with no one within a good ten yards of him. If the gaffer had said after the game that he'd been on the ale on the bus ride to Birkenhead, it wouldn't have come as a surprise at all. But it all started quite well for Jamal, eventually. The start to his time at the club began with him injured on the sidelines (Keith Curle, the genius) before he found his way onto the Boundary Park pitch for his debut. Sparking into life not too long after coming on, he sprinted half the length of the field before his mis-hit delivery (oh the irony) sailed over the goalkeeper and into the back of the net. He was one of the bigger disappointments of the post-Keith Curle sacking toxicity that took us from play-off candidates to mid-table also-rans. We can only hope we never have to endure a time like it again – players with a cob on for months on end because their soft touch of a manager had been given the elbow. Chris Kiwomya should certainly never have been appointed – but his treatment from the likes of JCR, Dean Leacock and Andre Boucaud was a disgrace. Few Notts fans will ever forget the night JCR trudged off the field after 20 minutes one evening because he didn't like the booing he was receiving from Preston North End fans? We were the home side. There was only just over 300 travelling fans even there! Shaun Derry and Greg Abbott on arrival took a sledgehammer to the Notts squad upon their November arrival. Out were the likes of Yoann Arquin, Danny Haynes and Enoch Showunmi. Had Jamal joined them, very few stuffs would have been given. It's still quite early in the season and there's a new buzz phrase going around Nottinghamshire. You see apparently we don't call players bone idle anymore – we call them “not Derry's type of player”. Jermaine McGlashan, Craig Westcarr, even our own Mustapha Dumbuya have had this label attached to them. Jamal Campbell-Ryce however is the epitome of “not Derry's type of player”. But by the turn of the year we were finally able to appreciate just what it was that saw Keith Curle bring him to the club. Seemingly out of nowhere we had a player with an end product. His individual brilliance to open the scoring at home to Bradford on New Years Day will rightfully be looked back on as a high point in a too-often disappointing campaign. Given the form he was showing by the end of the season, I'm gutted we've lost him. We had a genuine menace. It's only a few weeks since he in fact put in one of the best individual performances I've ever seen as he set up Jimmy Spencer for two goals, and scoring a brace himself as we came from two goals to beat Port Vale 4-2. The impact he had for us going forward is considered a massive part as to why we're still a League One club. Less heralded though was his usefulness defensively, offering us a great outlet to run the ball out of our own third to take the pressure off a tiring defence. So given the great faith shown in him by his latest managers after so much mediocrity – what right did Jamal have to preach about wanting to be paid “what he deserves” by our club, and via the local media no less? Words that should most certainly have been heeded by Campbell-Ryce. I can't imagine anyone will remember fondly the entirety of his Meadow Lane career, a time mostly spent surprised that he was still here at all! 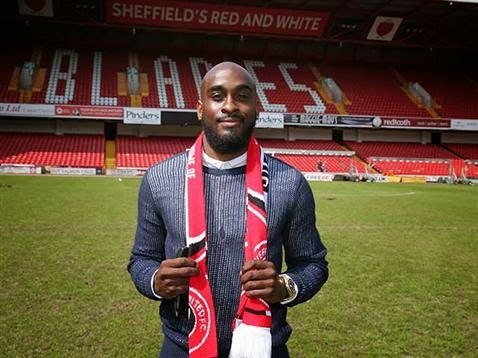 We're of course grateful for his turnaround in form and where it landed us next season, but for him to think a move to Sheffield United on good money is something he deserves is quite staggering.